Geoffrey Atzbach attended Brigham Young University and graduated with a Bachelor of Arts in 1994. He attended Brigham Young University Law School from 1994-1997. He has been a licensed attorney in Colorado since 1997. Mr. Atzbach worked for another law firm in Colorado Springs from 1997 to 2004. 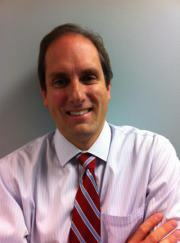 In December of 2004 Geoffrey Atzbach opened his own private practice. This is where you will find him today! Mr. Atzbach’s practice focuses exclusive on bankruptcy. He has filed thousands of bankruptcy cases in the nearly nineteen years he has been practicing law. WHY SHOULD YOU CHOOSE ME TO BE YOUR ATTORNEY? I have helped literally thousands of individuals and couples file bankruptcy in Colorado Springs. As an indication of how my clients feel about the services I provide, 70% of my new clients are referrals from prior clients, which is the best compliment an attorney can receive. Unlike many law firms that merely dabble in bankruptcy law, bankruptcy is all I do. Because my practice focuses exclusively on bankruptcy I have gained vast experience in the area of bankruptcy law. Not only do I know the law, I also know how the law is applied to real people and real situations. I can help you understand both the pros and cons of filing bankruptcy in your particular situation. I believe strongly in the benefits of bankruptcy to shield those who need protection for themselves and their family. However, bankruptcy is not for everyone, and if bankruptcy is not your best option I will tell you so. I want you to achieve the best outcome for your situation, whether that means filing bankruptcy or not.